Sometime you just don’t want to settle for a hammock between two trees or at very least you don’t have two trees. 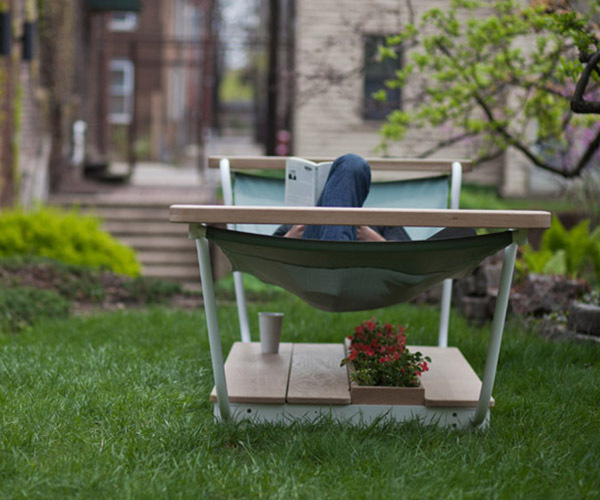 The Hammy not only solves the hammock/tree issue it does it in a way that will transform your green living space. 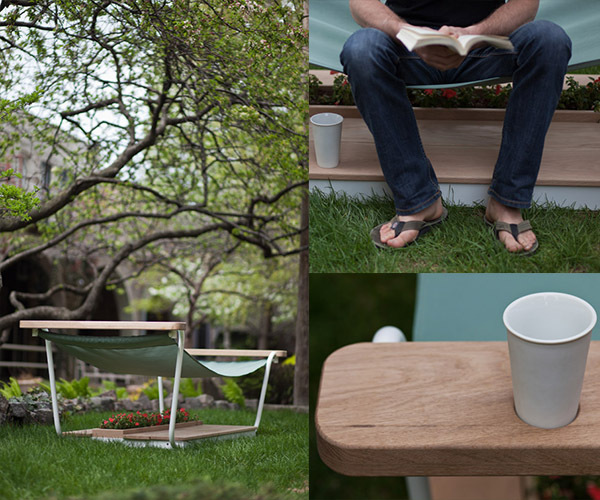 It’s like a mini patio that you can place anywhere and have a nap, a seat, or a gardening session all in one. 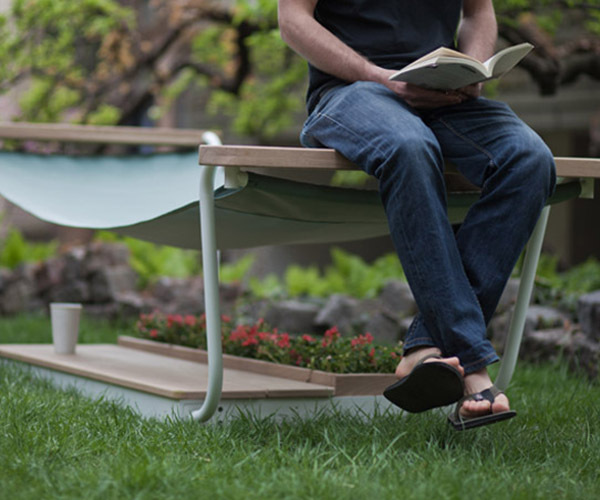 The Hammy is made with a powder-coated metal frame plus water and insect resistant white oak. 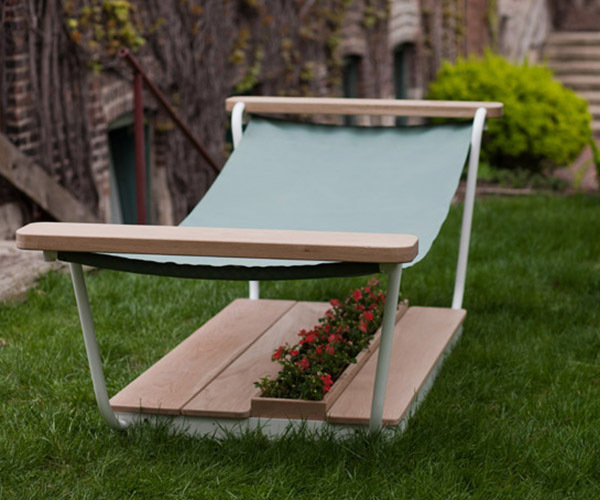 The hammock sling itself is non-fading, waterproof and UV resistant. Each is built in Chicago where hammock weather comes at a premium.